“Tottenham impress me. They haven’t thrown the towel, even when they have been under the gun,” Sir Bobby Charlton once said about the North London club which has often lived in the shadows of Arsenal and Chelsea in the past decade, in England and in Europe, but it is this ‘never say die’ attitude of Tottenham Hotspur which has brought them to the cusp of a historic moment. Ten minutes into the first leg at Turin, it seemed all over for Mauricio Pochettino’s side as Juventus raced to a two-goal advantage courtesy Gonzalo Higuain. Tottenham Hotspur fans could feel the bile rising in their throats as their club entered a full-blown panic mode at sight of the Italian champions’ blistering attack. 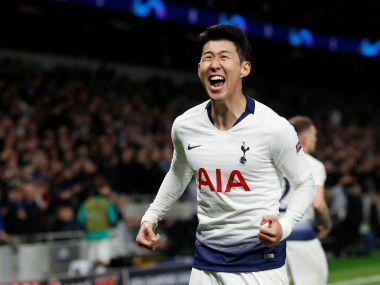 Their backs against the wall, a moment of fortune turned the tide in the opposite direction as Higuain fluffed his spot kick, and Tottenham Hotspur carved yet another sublime episode in Europe this season. Driven by the magnificent Christian Eriksen, Pochettino’s team secured two away goals to finish the game in a well-fought draw and handing themselves a major boost in bid for progression to the UEFA Champions League quarter-finals. “In football and in life, when you have the chance to play a competition like this, you need to take it because you never know what will happen in the next few years. It’s a great moment to show the real face of Tottenham,” Hugo Lloris told reporters ahead of the second leg, and the Tottenham keeper is correct in acknowledging that the English club have to showcase yet another emphatic performance to see off “wounded” Juventus. The Italian club, embroiled in a battle for the Scudetto with Napoli, are struggling with injuries to some of their key players. Juventus have their task cut out for not only do they need to score to swing the tie in their favour, but must also defend out of their skin to stop the Spurs frontline. Harry Kane, with seven goals in Europe this season, is arguably Tottenham’s most potent attacking threat, but Mousa Dembele’s authoritative midfield act and Eriksen’s penchant for precision made all the difference in the first leg, and it would be upon Juventus’ midfield trifecta of Sami Khedira, Miralem Pjanic and Blaise Matuidi to take command of the game, although the lack of pace in Juventus’ midfield could play into the hands of Tottenham Hotspur should the English club choose to press high. 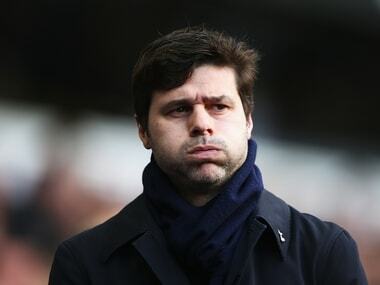 “I don’t know how Spurs are going to play. 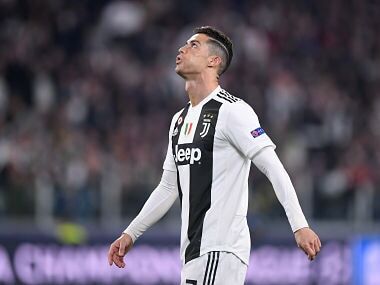 We’re going to have to be a lot better technically than we were in the first leg, especially in the second half,” Massimiliano Allegri admitted to Juventus’ shortcomings in the first leg. “It will be like a final, in a way; because we have to get a result otherwise we are going out. We created chances at home in the first leg and we’ll have to do the same Wednesday night,” the Italian added. 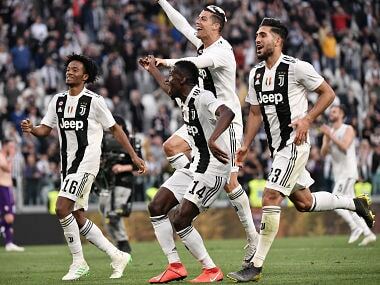 Juventus have not lost a competitive game since November of last year, winning 17 of their 20 previous matches in all competitions, but injuries to Federico Bernardeschi, Mario Mandzukic and Juan Cuadrado has rendered the Juventus attack slightly one-dimensional, if not lopsided. There has been a lot of debate among Juventus fans and Serie A connoisseurs this season regarding Allegri’s use of Paulo Dybala in a system which doesn’t often get the best out of the Argentine youngster’s strengths, but on Wednesday, the former Palermo forward is likely to start as an inside forward on the left wing. Dybala was instrumental in Juventus’ domestic victory this past weekend and ‘The Old Lady’ will be looking up to their young prodigy for goals tonight, especially with Higuain not being at a hundred percent fitness. While Juventus’ experience at this level and their consistency in the UEFA Champions League knock-out fixtures make them a safe bet, the control of the tie rests with Tottenham Hotspur and the self-proclaimed “dreamer” in Pochettino. Written off time and again, Tottenham have had to prove their mettle on separate occasions this season, but they have achieved their dreams and some more – first at Bernabeau, then at Westfalenstadion and most recently in Turin. A triumph on Wednesday would only cement their status that Pocchetino and his team belong at this incredible, lofty level of football.